Def Leppard played a show in Bristol, England in February 1983 and a rare photo of Phil and Steve is available to view. 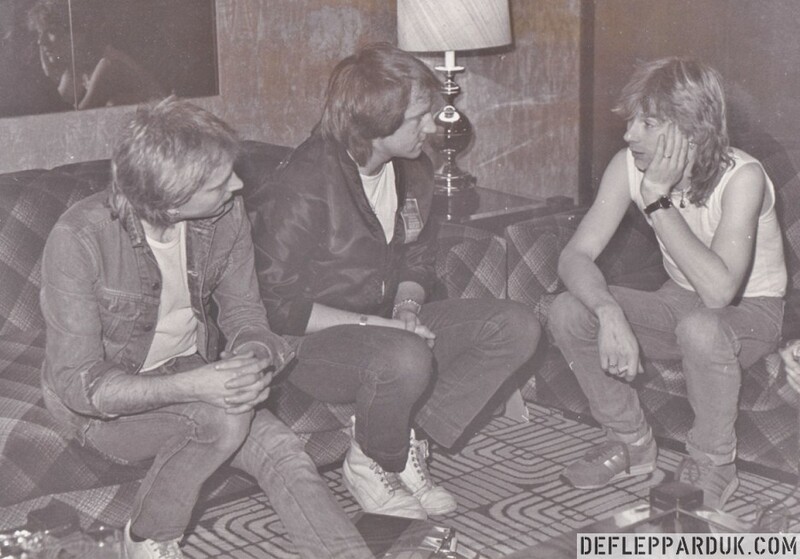 UK rock DJ Andy Fox has sent in a photo of himself interviewing the Terror Twins after the show which took place on 27th February 1983 at Colston Hall. This was the 14th show of the Pyromania tour. 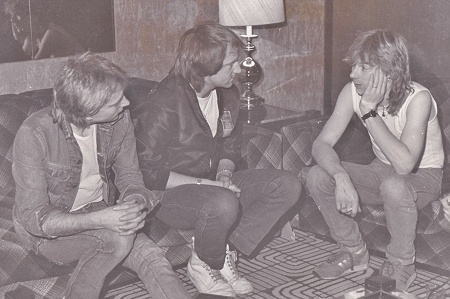 Their first tour with Phil as a member of the band after he'd joined them in July 1982. A media review of this show was already sent in by the journalist who wrote it a couple of years ago and can be read via the show page. Andy is shown in the photo interviewing Phil and Steve for Bristol ILR station Radio West. Photo by Debbie Brady, courtesy of Andy Fox archive GTFM/BCFM, Rock Radio UK. Check out Andy's Rock show via the radio links.